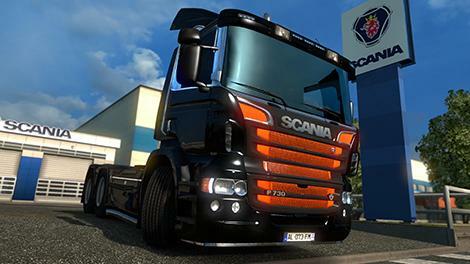 This mod is an add-on to SCS' Scania NGS R chassis. Fixing things that needs fix (really?!)! The front corner deflectors got their own fixed UV-map now, their size is different than the R cabs. Compatibility with paintjobs designed for R is NOT assured. Respect the work, keep the original link. Compatible with EVR's R440 sound mod, select the P-Cab engines. Thanks for keeping the original link!